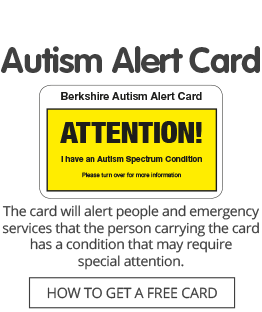 Autism Berkshire works closely with organisations in the county to help increase understanding of people with autism spectrum conditions and improve support for them. We deliver a range of training courses tailored to the needs of professionals who may come into contact with people with autism through their work. Professionals who become members of Autism Berkshire also have access to our library which has a range of books and leaflets containing general information about autism spectrum conditions and titles to help education professionals. The National Autistic Society website offers a range of advice and resources to help professionals in sectors including health, education and criminal justice to support people of all ages on the autism spectrum. Professor Tony Attwood’s website offers information for professionals working with people with Asperper’s syndrome and their partners. The Windsor & Maidenhead Autism Partnership Board has produced this video to aid autism awareness and understanding among GPs and other health professionals.